Join the TAC Publisher's Club to advance a fresh vision for conservatism in 2019! 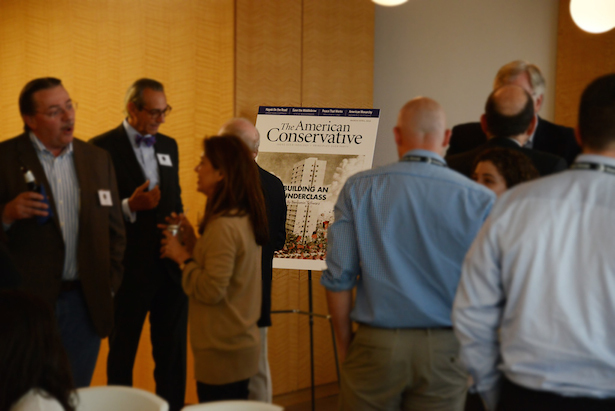 The American Conservative's Publishers Club is our donor circle for TAC's most loyal readers. Become a member with an annual contribution today! Prominent recognition in a special print edition of TAC. Access to all TAC online content. Two complimentary print guest subscriptions to TAC. Priority invitations to all TAC events and conferences. Please contact our Executive Director, John Burtka, at 517-392-1022 or jburtka@theamericanconservative.com to learn more about the benefits of membership! Make your tax-deductible contribution via credit card below or mail to: The American Conservative; Attn: John A. Burtka IV, Executive Director; 910 17th Street, Ste 312; Washington, DC 20006-2626.